As one of the smallest rooms in your home, the bathroom serves as a place of comfort and privacy. The bathroom is also where many of us spend our time getting ready in the morning and winding down in the evening. Many homeowners take on their bathroom remodel thinking of it as a simple task (how can 40 square feet be challenging? ), but find that there are more things to plan for than originally considered. If you’re in need of bathroom renovations in Atlanta, the pros at Detail Design & Remodeling are here to help. Our cabinet refacing specialists are proud to deliver long-lasting and affordable resultings relying on our old-school focus on quality. We know how to create an advantageous outcome for your property, and will work with you every step of the way. Today, we’ll discuss a few tips that may help you remodel your bathroom. If you’re ready to get started, feel free to call us today to schedule your in-home consultation! Older homes across Georgia rely on 15-amp systems that can easily become overwhelmed with today’s modern appliances. Be sure to check your wiring as you renovate your bathroom. Many homeowners take the time to swap out their outdated outlets for modern ground fault circuit interrupter (GFCI), which helps to cut power and prevent accidental shock. Upgrade your wiring as needed to take on the daily usage demanded by your family. Doing so now can save a lot of effort later on. Bathroom remodels appear quick and simple, but many homeowners find that creating an environment that is completely sealed against H2O can prove problematic. If you plan on implementing new bathroom fixtures, be sure to plan for any potential concerns in terms of leaks or pooling water. Failure to do so may lead to problems with moisture saturation and product degradation. We recommend creating a plan that accounts for any potential for leaks, as well as a system to ensure that your entire bathroom doesn’t become flooded! Your bathroom will rely on a number of features to provide the most comfort and convenience. The towel bar, mirror, and sink height will all impact how much you enjoy this space on a daily basis. Most designs will rely on an average height for placing fixtures, so be sure to change the placement if you are shorter or taller than average. Some homeowners do not realize their mistake of not checking the height until everything is said and done. There are no real rules when it comes to the height of your bathroom fixtures, but be sure to plan accordingly for the best results! Detail Design & Remodeling will be happy to visit your residence for a free in-home consultation. We’ll take the time to speak with you in order to understand what you are looking for as well as who you are. Our home remodeling contractors will create an ideal result that fits you perfectly, regardless of your height! The toilet is seen as a very utilitarian aspect in bathroom renovations, and will often be left in-place or replaced with a basic model. Our home renovation team recommends investing in a toilet that provides both beauty and efficiency. Low-use flushers are helpful for minimizing water consumption, providing environmental benefits in addition to saving you on costs over time. Purchasing the right product can yield serious benefits down the line! Bathrooms can undergo a variety of transformations to create a spacious, effective flow, but keep in mind that storage will still be needed. There are many ways to accomplish this, ranging from bathroom cabinets with built-in sinks to mobile shelves, storage bins, and more. You will need to determine exactly what you need to store and where you can place it in your new bathroom design. Proper ambient and task lighting elements are vital for comfortably illuminating your bathroom. Skimping on lighting can result in unwanted shadows in the mirror, disrupting your beauty routine. Our home remodeling contractors suggest placing lights along the sides to eliminate shadows, such as sconces installed around eye level. If your bathroom cannot accommodate wall lighting on the sides, a long fixture is suggested above the mirror. Detail Design & Remodeling can help you achieve the best outcome for your bathroom. From cost-effective cabinet refacing to lighting and more, we’re ready to achieve an ideal outcome without the high price tag. One aspect of bathroom renovations that needs to be accounted for is the humidity. 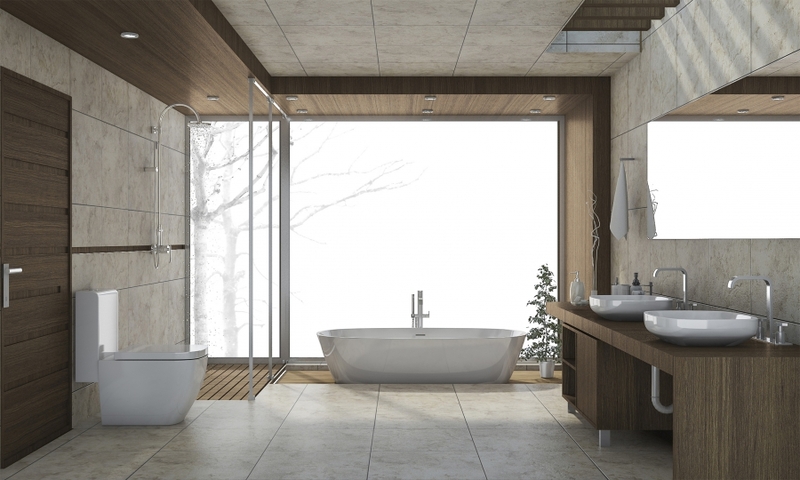 Unlike kitchen remodels, bathrooms are exposed to heavy amounts of moisture and humidity. If the proper precautions aren’t taken, you may be left exposed to problems associated with bacterial growth. Cheap paint, exposed surfaces, and a lack of airflow can all result in mold concerns, so be sure you consider humidity before completing your bathroom remodel. Invest in the right fan. Your bathroom fan may not seem like a major purchase, but investing in the wrong unit can lead to unwanted consequences. Loud fans can disrupt sleep in bathrooms close to beds, while low-power units may not be enough to keep moisture at bay. Purchasing the right fan can do much to keep your surfaces safe from excess moisture and subsequent mold concerns. 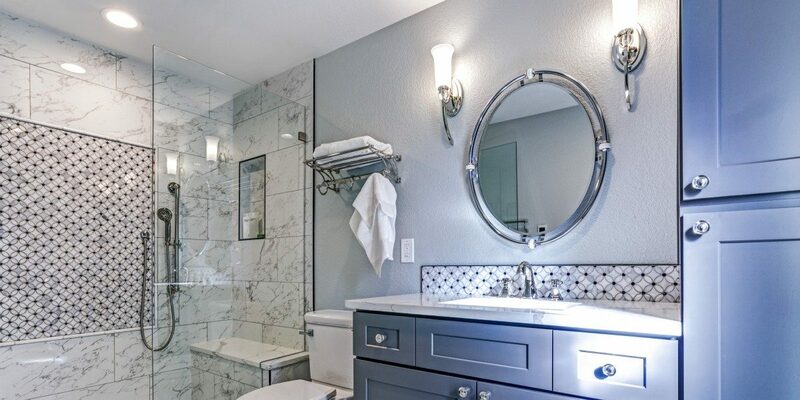 While we have covered a number of tips to help you create the most value for your bathroom renovation, it’s important to remember that the best way to ensure a precise outcome is to hire a local home remodeling company for professional assistance. Your contractors will have the equipment, experience, and training needed to create a precise fit that matches your budget and your meets goals. If you’re ready to get started, Detail Design & Remodeling is here to help. Our team provides cabinet refacing services across Atlanta and beyond, and we’re happy to come to your place for an in-home consultation. 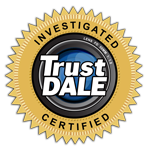 Contact us today to learn about our comprehensive approach to quality, and be sure to schedule your free estimate!